On the Upper West Side, a new luxury building is pulling out all the stops, and the pricing matches the amenities. Friedland Properties and Rose Associates developed 222W80, a 19-story rental building on the corner of 80th Street and Broadway, in the heart of the Upper West Side. The 72-unit building is a mix of two and three-bedroom units, eschewing studios or one bedrooms and instead squaring its focus on large, family-sized apartments. “There’s always been a segment of New Yorkers who want a large home. What we’re seeing at 222 West 80th Street is that a big percentage of this segment prefers to rent. This may be due, in part, to the recent changes in the tax laws. Either way, the rent versus purchase equation leans toward renting at this point,” said Marc Ehrlich, chief investment officer of Rose Associates. The architect of the building was NYC-based Stephen B Jacobs Group with Stephen Alton Architect as interior designers. The apartments have the interior design and finishes of a high-end condo building, with sleek kitchens, luxurious bathrooms, and an abundance of soundproof windows. 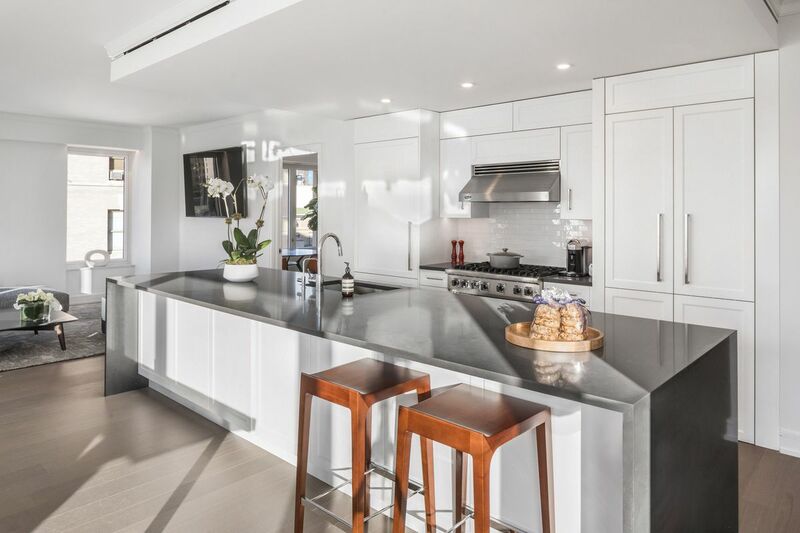 The kitchens feature Viking ranges and Caesarstone countertops, filtered water taps, and Miele paneled refrigerator and dishwasher. Apartment interiors feature a mix of warm-toned woods including wide-plant white oak floors, natural stones, elegant crown moldings, custom lighting, 9-foot ceilings, and mechanical solar and black out shades. Residents have a full share of amenities to choose from, including a two-lane bowling alley, a half basketball court, a game room and children’s room, fully-equipped fitness center, residents’ lounge, and perhaps most impressively, a rooftop deck with sweeping views. 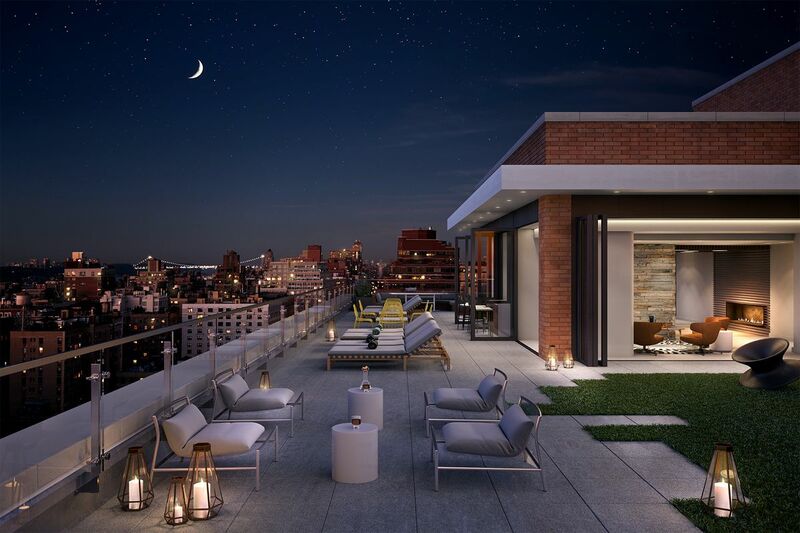 The expansive rooftop space is equipped with a bar, grilling stations, and dining and seating with views of Lower Manhattan and the Hudson River. It features a system of sliding glass doors to allow year-round use of the space. The surrounding neighborhood offers classic Upper West Side conveniences like the iconic Zabar’s across the street, the Natural History Museum and Central Park just a few blocks away, and quiet respite from bustling areas of Midtown and Lower Manhattan. The building has been moving in residents since it launched leasing in June, and move-ins have continued to be robust throughout the Summer and into the Fall season. Current available listings include a two-bedroom, two-bathroom unit on the market for $9,530 per month on the low end, and on the high end, a three-bedroom, three-and-a-half bathroom apartment for $24,925 per month. 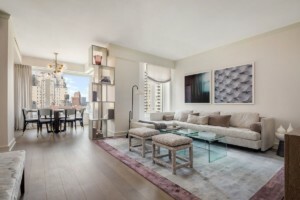 The three-bedroom unit includes a wrap-around terrace facing the Hudson River, and a large walk-in-closet with a personal safe in the master bedroom. The base of the building will house more than 20,000 s/f of retail, which the development team is still in the process of leasing. “We’ve seen terrific interest, steady traffic and a healthy pace of leasing since introducing 222 West 80th this past spring,” said Robert Hooley, director of leasing at Rose Associates.